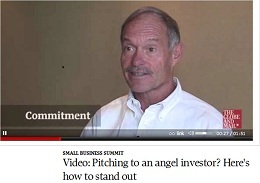 14 May 2105 – Several Canadian Regulators (not including Ontario) have approved a Crowdfunding Exemption that allows start-ups to raise up to $250,000 twice annually from the general public with a limit of $1,500 per investor. Click here for a link to the BC Securities Commission’s document. 25 March 2015 – No word yet from the B.C. Regulator. In the meantime, as noted before, B.C. has effectively had crowdfunding for over a decade – it’s called the Offering Memorandum (it works well, but isn’t well publicized or understood). 24 March 2015 Major News: The United States’ SEC released final Regulation A+ rules under Title IV of the JOBS Act that trumps state law, paving the way for $50M unaccredited investor equity crowdfunding. Growth companies will soon now be able to raise up to $50 million from unaccredited investors in a mini-IPO style offering serving as a potential alternative to venture capital or other institutional capital. Imagine Uber or AirBnb, instead of going to big institutions for capital, now offering their stock directly to their drivers, riders, renters and tenants as well as the general public. 24 Feb 2015: Ontario Updates Rules on Equity Crowdfunding – getting closer, almost there! 17 July 2014: Saskatchewan is the first Province with a Crowdfunding Exemption. 20 March 2014: BC proposes Equity Crowdfunding Exemption – Open for comment.